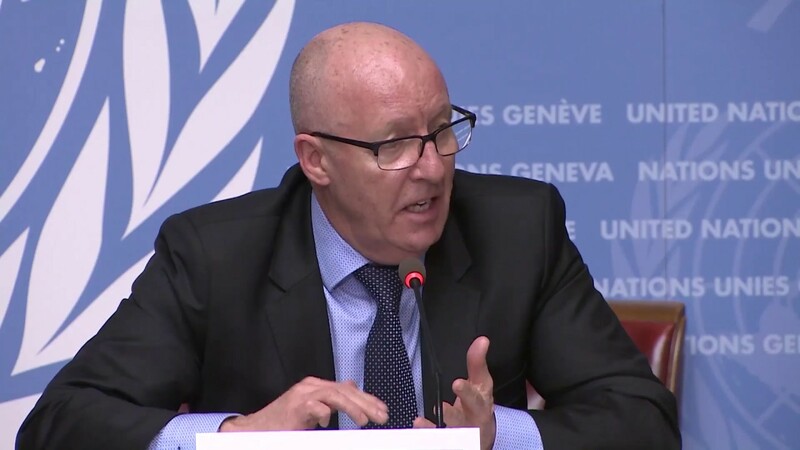 The UN Humanitarian Coordinator, Mr. Jamie McGoldrick, today called for urgent support to meet the humanitarian needs of victims of violence in Gaza. In the context of a massive rise in Palestinian fatalities and injuries since 30 March, the humanitarian response in Gaza is focused on providing immediate life-saving healthcare, mental health and psycho-social support for affected people, especially children, and monitoring, verifying and documenting possible protection violations. These new needs occur in the context of a pre-existing humanitarian and human rights catastrophe caused by nearly 11 years of Israeli blockade, alongside internal Palestinian political divide and a chronic energy crisis that leaves Gaza’s two million inhabitants with power cuts of up to 22 hours per day, on average, and severely disrupts the provision of essential services. In a welcome development, despite the damage inflicted on Kerem Shalom Crossing, the main entry point for goods between Israel and Gaza, it has been partially reopened, with 15 truckloads of medical supplies entering Gaza on Sunday and Tuesday. Of these, two truckloads donated by Israel yesterday were reportedly returned. In addition, two truckloads carrying 76,000 liters of fuel for health facilities and water and sanitation treatment sites were brought into Gaza by the United Nations yesterday, with arrangements for another 76,000 liters in process, via Kerem Shalom. Egypt has also exceptionally opened Rafah crossing for six days this week; its continued opening would be a welcome measure to facilitate humanitarian relief efforts. In spite of these developments, severe shortages of medicines and supplies, alongside difficulties in accessing medical care outside of Gaza and a serious funding gap, continue to undermine humanitarian operations. Health partners have indicated that despite recent contributions to the health sector, US$1.2 million is needed immediately for drugs and disposables and a further $3.9 million is needed to cover medical supply needs and emergency medical technicians. A further $19.5 million is required to cover the medium-term, chronic needs of the Ministry of Health and NGOs providing essential healthcare until August. The 2018 Humanitarian Response Plan, which requests US$ 400 million in assistance for the Gaza Strip, is significantly underfunded, with only 16 per cent of the appeal supported. Since 30 March, Israeli forces have killed 102 Palestinians, including 12 children, during the course of demonstrations in the Gaza Strip. Another 12, including two children, were killed in other circumstances. The cumulative number of injuries by Israeli forces has exceeded 12,600, of whom 55 per cent have been hospitalized. One Israeli soldier has been injured. The large number of casualties among demonstrators, in particular the high percentage injured by live ammunition, has raised concerns about excessive use of force, alongside calls for independent and transparent investigations of these incidents, including by the UN Secretary-General. Israel has stated that a fact-finding mechanism will review the use of force, including incidents of fatal shooting.